Rock´n Roll around the clock ! Mantra 50 is like its predecessor – one of the most complete speakers, we have heard at its price-point, and in this test, only the Sonus Faber Venere at a much higher price, giving it a mention worthy competition. We would have liked the opportunity to bi-amp the speaker via double speaker terminals to get the most power in use from the surround receivers out there. But it could be the possibility that it would interfere with a winning formula. 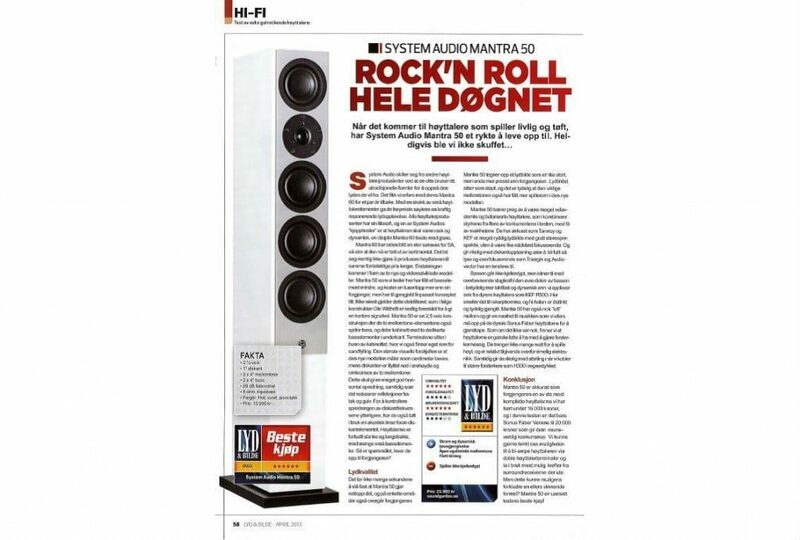 Whatever – Mantra 50 is the best buy!